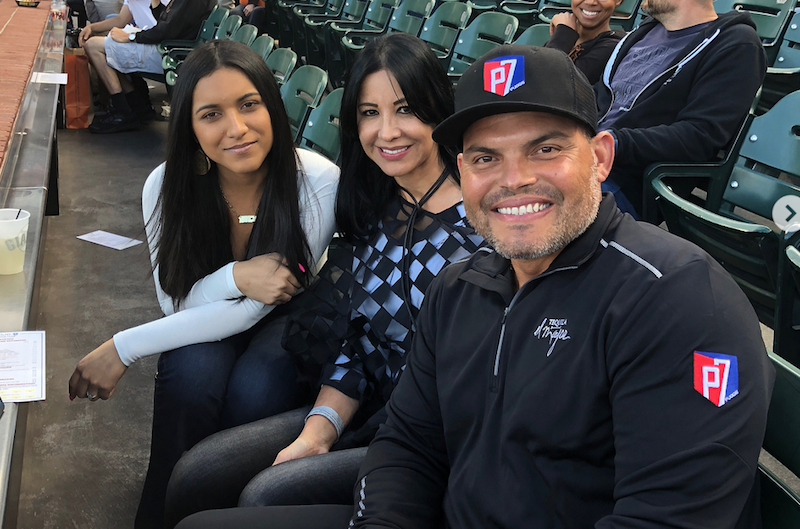 Ivan “Pudge” Rodriguez is this week’s guest on The Life of Dad Show. World Series Champ and Hall of Fame member, Ivan “Pudge” Rodriguez talks with The Life of Dad Show host, Art Eddy about fatherhood, playing in the MLB and his proud Life of Dad moment when his son Dereck got called up to follow his dad’s footsteps and play in the big leagues. Pudge also shares with Art the importance of being there for your kids from day one and how he helps his kids no matter how old they are. Pudge even talks about some of the items he kept from the diamond after winning the World Series. Want to win an autographed baseball or book from Pudge? To enter to win here is what you need to do. Follow Pudge on his Facebook, Twitter, and Instagram accounts. Leave a review of The Life of Dad Show on iTunes or wherever you listen to The Life of Dad Show. We will randomly select a few winners! Good luck! Widely regarded as one of baseball’s all-time great defensive catchers, Ivan “Pudge” Rodriguez played for the Texas Rangers, Florida Marlins, Detroit Tigers, New York Yankees, Houston Astros, and Washington Nationals during his 20-year Hall-of-Fame playing career. He was named the American League MVP in 1999 and won a World Series championship with the Florida Marlins in 2003. The 14-time all-star and 13-time Gold Glove winner was born and raised in Vega Baja, Puerto Rico, and he now serves as special assistant to the general manager for the Texas Rangers. He was elected to baseball’s Hall of Fame in 2017. Follow Pudge on Twitter at @Pudge_Rodriguez and go to pudge7.com to pick up his book!